As VP Investment & Structured Finance, Julia is responsible for all debt raising and structuring activities throughout the lifecycle of all of Sunco Capital’s projects. She is also responsible for the sale of ready to build assets from Sunco Capital Development Fund I, FCR. Julia brings over eighteen years of experience sourcing, structuring and executing transactions in the power & renewable energy and infrastructure sectors, across Latin-American and EMEA markets. 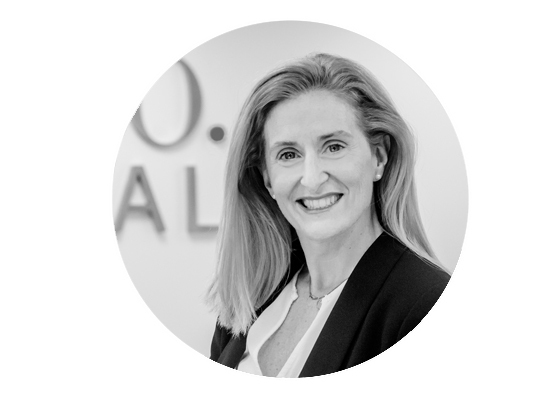 In the 10 years prior to joining Sunco Capital, Julia has held senior Structure Finance and M&A roles in Electa Partners, SunEdison and Grupo Enhol. From 2000 to 2008 she was Analyst Structure Finance and Associate Director in Dragados Industrial , subsidiary of Grupo Dragados. Management of 1.1GW of PV Plants in Europe (France, UK, Italy and Spain). Financial close of 478MW, distributed in 15 PV plants in UK. Sale of the UK´s Sun Edison portfolio to Terraform Power (478 MW). Financial Close of 24MW PV Plant in Jordan (50 Mill USD). Financial Close of 60MW (€100 Mill) Wind Farm in Bulgaria; A-B Senior loan and Mezzanine loan. Financial Close of first Wind farm in Tamamulipas (Mexico) 54MW (100 Mill USD). Closing bilateral PPA of 150MW in Mexico. Commercial Agreement with Gamesa to co-develop, construct and sale of 150MW in Romania. Sale of 200MW, four wind farm projects in Peru. Financial Close of five Concessions of Transmission Lines for ANEEL (Brazil USD 500 Mill). Financial Close of three projects of Transmission Lines for CFE in Mexico (USD 300 Mill).